The drum beats on my tin roof, the melody of the howling wind and the racket of loose objects bashing upon my windows didn’t stir me. I was actually grateful for the rain. It was nice to hear the flow of the river once again. Despite the furor outside, there was peace in our home. We ate snacks, watched movies, caught up on the presidential debates, drank tea and laughed with one another. It didn’t feel like a storm on the inside. God kept us calm. He is our peace in every situation. Those strong winds definitely reminded me of the battles I’ve faced in life. I’ve often looked at myself in the mirror just to say, “Had it not been for God, where would I be?” He is always forever faithful in every cyclone of life. 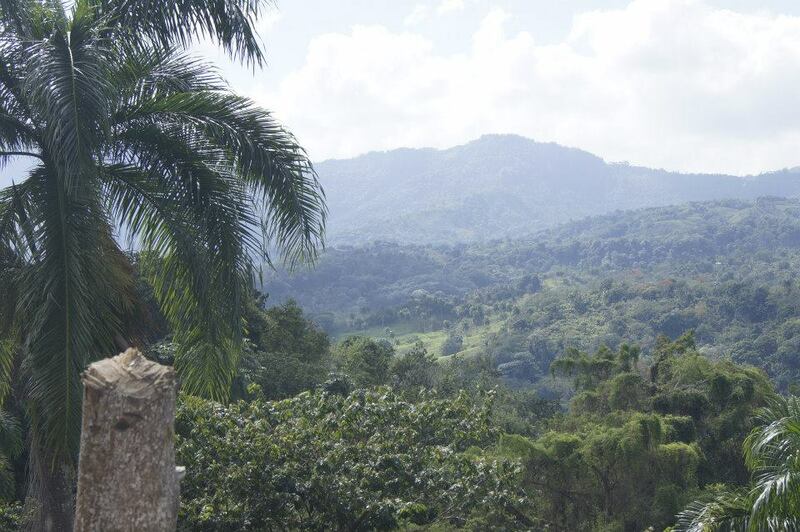 Then I contemplated the lives of those God has given me the grand honor to serve in the Dominican Republic. Some like the little boy who lived alone and ate scraps from trash was able to reconnect with his mom because of our center. Or like the teenaged girls who have a safe place and are not pressured to move in with adult men, simply because we are there. Or like the women who live on my mountain whose lives are being changed just because they are now learning about how valuable they are. There was also the single man who longed to marry a godly woman and the single woman who longed to marry a godly man who found one another at our church! There was also a woman who never thought she could leave the clutches of adultery until God sent us to her. Like the young man who knew he was called to pastor, but had no one to support him until we came along. Or like the other young man who everyone knew was called, yet ran from his assignment until we stepped in. Or like the family who had no place to call home until we arrived. God was in their storm. God didn’t let the tempest take them away. He sent them help at the right time. He is there in the midst of torment. 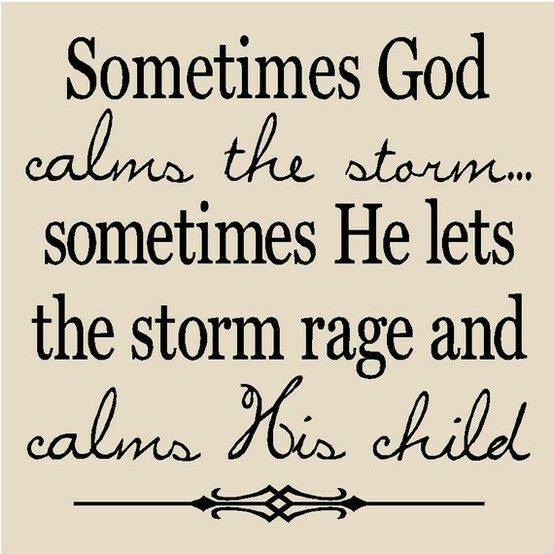 He is also there when life is calm. I woke up this morning to the same birds chirping as always. I heard the same rooster I hear every day. I saw the same sun shining that brings radiance each morning. The storm didn’t take away the calm for the calm was in the storm. There really is no need to fear. Regardless of what we face, He is there. Trust Him. The sun beat down on us as we trekked through our small village of Juan Lopez in Moca to pray for the neighbors around our church. We divided ourselves into groups of two. Both groups were a mixture of Dominicans, Americans and children eager to share the love of Christ. Every household we approached was accommodating and thrilled to have us pray for them. They offered us chairs and some even awakened from their afternoon siestas to join us. It was a pleasant experience. As we walked I marveled in God’s goodness and faithfulness for I remembered when this very village was a dirt road lined with shanty homes. I remember when it rained how the gushing water would actually knock down wobbly homes. I remembered how flies would invade our existence to the point that we covered our mouths while we spoke. To God’s glory, it is now a new place! The road is paved. New sturdy homes have been constructed. Flies are still there, but nothing like before. Most of all, the people were receptive to our message of truth. There was a time when no one wanted Christians there! As we advanced upon a humble home, a sweet young lady asked us to pray for her ailing grandmother. We walked into the room and I remembered my grandmother on her death bed. The precious lady told us that she was alive, but she sees death. She was frail and too weak to lift her head. As we prayed I could hear God say that we were there to lead her to Him. He wanted her to spend eternity with Him. So I talked with her about Christ. I shared the gospel with hope knowing that she would respond positively. She did! She gave her life to Christ and her countenance changed. I knew that she was sure of what she did and I’m confident that I will one day see her in glory. As we walked away for her house, I couldn’t complain about that stinging sun any longer. It was worth every burn! A life now belongs to Him and there is no greater joy for me than to see the lost come to know our everlasting God! The day served as a testimony to the Dominicans, Americans and children in our groups to know and to see that it wasn’t too late for any of the ones we ministered to that day. God is an on time God and we must trust in that truth. He will accomplish everything that He promises to do. A beetle buzzed around us as we talked in the pavilion tonight. A bat or two swarmed out in the dark in search for fruit. Freshly picked bananas rested on a dish in our midst and a crisp cool breeze graced us with refreshment as we shared from our hearts. We discussed the stretching involved in missions. The disappointment in plans that change because of things we can’t control. The letdown in adjustments to schedules can not only be discouraging, but downright depressing as well. Things happen on the field that don’t make sense to our American minds. Things like having to cancel family camp because the town decided to shut off the water for the entire day. Things like having to conform to habits and attitudes that are completely distinct to your own. Things like the bus breaking down on the way to an activity and sitting in the hot sun until help is found. Things like eating the same food every day in different ways. Things like constructing new edifices with two or three workers at a time and mixing cement by hand! Things like clearing grass with machetes. Things like living in a small house with a few twenty something year olds for the entire summer and just wishing that the giggling would end! I could go on and on. The list really is long. As one of our guests swatted the beetle, I pondered on how that beetle and all of the things that don’t remain the same in my life have changed me. The unknowns have caused me to trust God like never before. Watching Him move in a life because I chose to not let these uncontrollable changes drive me insane keeps me going. It takes our willingness to be uncomfortable in order for God to do the miraculous in the lives of others and our own. As the bats hunted for fruit, I was reminded of my own quest for enrichment. God fills me more and more with His presence as I take the time to seek Him. Those bananas prompted me to remember God’s faithfulness. He provided for this land that already had those banana trees here. He will continue to provide for He is faithful. The breeze was a simple indication of His presence. He is always here. He is always near.